As Christmas approaches the retail sector will be getting ready for one of their busiest times of year. In order to ensure maximum sales some retailers will fill every available space with merchandise. 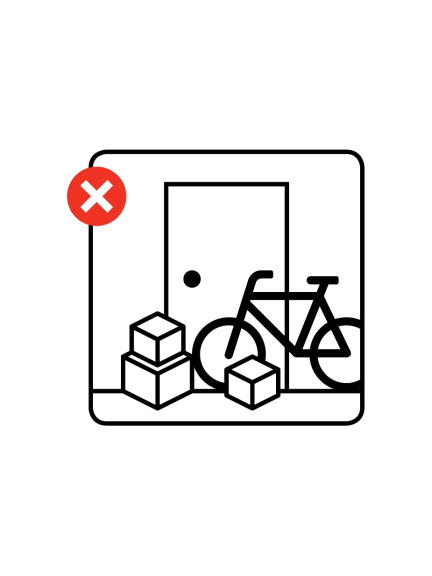 This can mean that escape routes and fire exits that normally are empty become a fire hazard area full of extra Christmas stock. Devon & Somerset Fire & Rescue Service remind shop owners that fire risk assessments are a legal requirement for all businesses (even one-person operations) and must be completed for every shop location. This aids fire prevention by identifying and taking remedial action against any significant findings, the risk of fire is reduced and therefore reduces the risk to your staff, visitors and business assets. At this time of year many businesses will be recruiting additional members of staff in the run up to the Christmas period. These new employees may not have the same level of fire safety awareness as permanent members of staff. They might not be aware of the vital steps needed to protect themselves, their customers and colleagues if a fire were to break out. Ensure all employees are fully trained in emergency procedures and know where their fire assembly points are located. When was your last shop fire risk assessment carried out? Stockroom safety, fire precautions, escape routes, slip and trip hazards, ladder and kick stools, waste storage are among the items that need to come under your scrutiny. If you employ five or more people you must record the significant findings of the assessment. It is not difficult and you do not need to buy external advice to help you with it. You know your business better than anyone else. Once a fire risk assessment has been conducted, it is necessary to review it on a regular basis – ideally annually. If a shop has had a recent refit, this may have impacted on your fire safety measurements. Many fires occur from poor storage practice, particularly when close to sources of heat. • Do not store combustible materials close to gas or electric heaters or boilers, light fittings or other heat generating equipment. • Avoid using portable heaters with naked flames or hot radiant surfaces, fan heaters and fluid-filled radiators. Devon & Somerset Fire & Rescue Service is committed to making our communities safer places to live, work or visit. For more information on fire risk assessments please visit our website.